Ever wondered what happens behind the scenes at a Bennetts British Superbike round? Well wonder no more! Danny Buchan and FS-3 Racing kindly lent us the keys to their pit box and race truck to have a quick look around. Buchan, who heads into the 2019 season as a strong Showdown contender, has been part of the FS-3 family for two years now, and the Warwickshire based team are renowned for running an extremely slick and professional set-up. The opening round of the 2019 Bennetts British Superbike Championship kicks-off at Silverstone on April 19/20/21. For more information or to book tickets visit www.silverstone.co.uk. 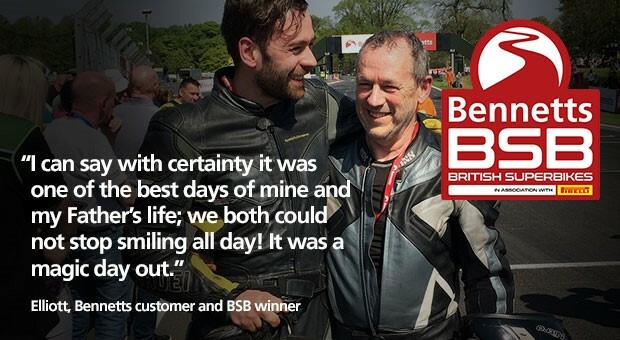 Bennetts customers can not only ride with confidence in their bike insurance cover, but they can also take advantage of exclusive Bennetts BSB Rewards. VIDEO: How much faster is a British Superbike rider than me?